After Apple’s downward revision of earnings, a new report gives an in-depth look at the possible causes of the failure of the iPhone XR in China. A new report from the Wall Street Journal concludes that the iPhone XR is the “phone that is failing Apple” and while it is too early to consider it a “failure” to, it is difficult to deny the difficulties that the device faces. With a price of 6,499 yuan, or about $945 USD, many Chinese consumers find the iPhone XR to be too expensive, even if it is 25 percent cheaper than Apple’s flagship iPhone XS or XS Max. 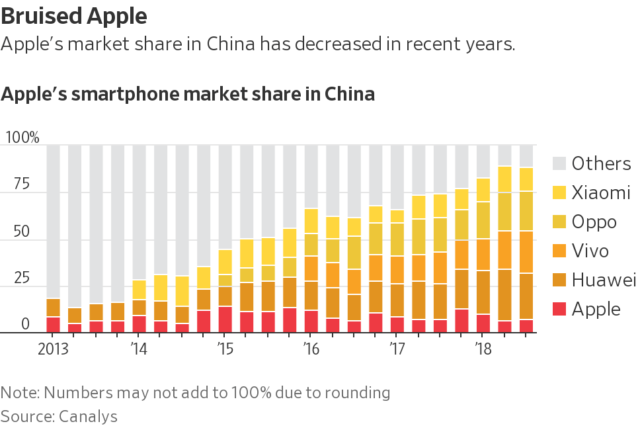 The report, citing data from research firm Canalys, also shows how Apple‘s market share in China has declined over the years. As one can see in the chart below, this phenomenon is largely due to strong competition from local companies like Huawei and Vivo. One of the attributing factors to the iPhone XR’s stagnancy in China is the fact that Apple got hit by currency exchange rates. As the US dollar became stronger against the yuan, Apple raised the price of the iPhone XR to maintain margins, pushing its price even higher above the competition. Additionally, the iPhone XR’s most attractive features — Face ID, dual-SIM support, and an edge-to-edge display — are already available in a number of other smartphone devices, and at a significantly cheaper price. 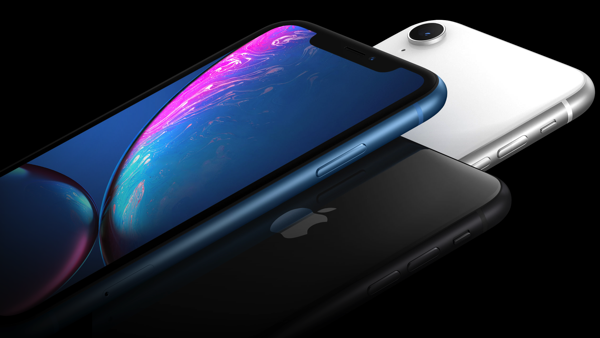 According to UBS analyst Tim Arcuri, the iPhone XR accounted for about 45 percent of Apple’s iPhone production volume last October. “They just built too many XRs and people just aren’t buying them, particularly in China,” he said.